It’s the Israeli Eurovision selection that was filled with over-the-top auditions, dramatic duels, emotional eliminations and plenty of talent. And on Tuesday we finally reached the grand final of Israel’s The Next Star for Eurovision 2018. Four acts sang, and in the end Netta Barzilai emerged as the winner, earning the right to sing for Israel at Eurovision 2018. Netta is no doubt a fresh and original choice for Israel, and she was the one of the big favourites right from the start of the show back in October. Tonight she won a nail-biter over the other favourite Jonathan Mergui (that was only 5 points behind her). Netta scored the most points from the judges, and finished a close second among viewers. Now there’s one big question: Will the Eurovision rules allow to use her signature vocal looper at the contest? Even if not, her charm and talent still shines without it, as you can see in her performance of “Beautiful”. Netta is 25 years old, and she performs in clubs and weddings in Tel Aviv. She was one of this season’s favourites right from her first audition. She has a unique look, which reflects her unique musical style: She’s a one-woman show that you have to watch in order to understand. In her first audition, and during most of her performances on the show, she had a special vocal looper on stage. But even with just a one-string guitar during her second audition, she still oozed charisma, style and uniqueness in her special version of the Eurovision 1978 winning song, “A-Ba-Ni-Bi”. Izhar Cohen, the original performer of the tune, watched her cover and said she’d be fab for Eurovision — and the music scene more generally. ????? ??? – ??? ?????? Producers divided the show’s contestants into two duels. During each duel the first artist sang in front of the judges and the audience. Their combined rating set the bar for their opponent. The voting process went as follows: each judge voted yay or nay, with a yay awarding the contestant a score of 10%. The TV viewers voted in a similar way via a special smartphone application and the scores were added together during each performance. The opposing artist then sang behind a screen. If the opposing artist managed to beat the score of the first artist, the screen rose up, signalling that the second artist had won the duel. If not, the first artist won. Each duel’s winner got to advance to the super final round. Then the judges saved one of the losers to advance to the super final, together with the two winners. Jonathan Mergui and Riki Ben Ari won their duel and advanced to the super final round. The judges were then asked to pick one of the losers to advance to the final round. Most of the judges picked Netta Barzilai (meaning Chen Aharoni was eliminated). 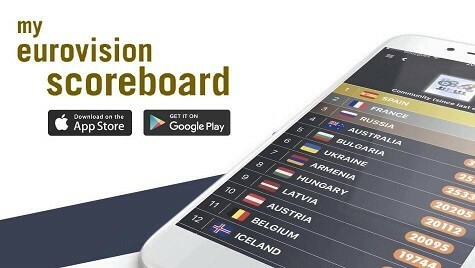 Unlike in previous years, the voting began after all of the acts sang and the results were determined by a 50/50 split between the app televotes by the viewers and the judges. Each judge on the judging panel in the studio could award points in the Eurovision method: 8 points for the third best act, 10 points for the second best act and 12 points for the best act. In addition to the judges in the studio, there were also 4 expert juries. Each jury consisted of music experts and they voted in the same way as the judging panel voted (8, 10, 12). The viewers could vote via a special app, where they had to pick their winner between the three acts and the votes were then converted to points that were equivalent to the total amount of points that were given by the experts juries and the judging panel in the studio, for a total of 270 points. Jonathan Mergui – 117 points. Netta Barzilai – 106 points. Riki Ben Ari – 47 points. Netta Barzilai – 210 points. Jonathan Mergui – 205 points. Riki Ben Ari – 125 points. This year’s selection process only picked the singer and not the song. That means that just like last year, a special committee will now pick a song from a field of songs submitted to producers. The regulations were published a few weeks ago and stated that the deadline for submitting the songs is February 19. The committee includes three representatives of IPBC (KAN) – Israel’s new broadcaster – and two representatives of Keshet (The broadcaster of The Next Star for Eurovision 2018). The head of the committee is a representatives of IPBC (KAN) and will have the right to decide in the event of equal votes. We’ll let you know just as soon as we have news regarding the song that will be picked. Can Israel make it to the grand final of Eurovision 2018 in Lisbon? Maybe even win? Let us know in the comments box below! i was super angry that chen came in fourth, he deserved to win. not her. not really. Are William and the Bibloggs team going to make a reaction video on Netta’s selection (as they did last year with Imri)? As Wiwibloggs.com fans, we would like to know what you think. Personally, I live in Belgium and not familiar with Israel or Netta who seems like a very unique and excellent choice from Israel. Of course, the song is yet to be revealed, but nevertheless, this is a very interesting choice from Israel. Come on Wiwi, Give Netta the respect she deserves! I have a feeling they’ll do a reaction video once “Toys” is released? I love Netta, and it’ll be really unique to see a vocal loop artist at Eurovision! I love her already. I just hope she is allowed to do her thing and gets a hell of a song. It’s time Israel stepped out of its comfort zone. Netta is awesome but she can either do very well or flop hard, the song and performance are extremely crucial in her case. She needs something innovative and fresh but not *too* experimental, and a performance that is eye catching and memorable but not too circusy. Netta will win the Eurovision!! Let’s wait for the song please. It’s so annoying for me to read comments like that. He’s right – stop jinxing! Come on, Christian. Everyone supports their favourites. I’ll take “I hope she/he/ they win” over “I hope she/he/they lose” any day of the week, no matter who the competitor is. Netta oozes charm. With the right song, she could take the prize. She is giving me winner vibes. She is so likeable, relatable. Please give her a good song. This is an opportunity not to be missed. Natta will win the Eurovision contest this year subject to a good quite song that would develop into a mooving onem plus a good moove and groove of the singer alongside her use of the looper machine! SO SO SO SO SO SO HAPPY that she won! I was so nervous last night and was voting like crazy! ? She will do great! I trust her! I am so happy she won, she’s different and unique, and an actual artist, not just an amazing singer. It would be awesome if she can use the looper too, especially how she does it. She’s now who I’m most excited about for Eurovision! Finally she’s not #2 in something! I’ve noticed that whenever performers on talent shows use a loop pedal, audiences are super impressed. If the audience has never experienced a loop pedal before (and a lot of people haven’t), watching it is a magical experience, especially with the reward of figuring out what is going on technically. If Israel is allowed to use a loop pedal in Lisbon, it will give them a major advantage, albeit for a gimmick. However, as the judges told her during the show – it’s not the looper, it’s Netta. She’s amazing. Great singer with a personality and she made every song she sang her own. Netta did most of the musical arrangements in her songs, and she writes music. I’m sure she’ll have a great song. Good luck to her! I confide she’ll deliver an energetic bop. She’s such a versatile artist and performer. I haven’t liked one single Israeli entry since 2008–I hope she’ll finally bring something I can root for. Not even Golden Boy? That’s a bop and a half. No, not even the Everyway That I Can / Düm Tek Tek mashup. Yeah cuz Turkish music and Israeli music sound exactly the same. she’s so much fun! can israel qualify with a girl this time? I don’t really see the point of choosing the artist wihout choosing a song. I know that charisma and good voice are extremely important, but in the end it’s all about the song. An artist I don’t like can surprise me with a great song and an artist that I like can disappoint me with a mediocre song. – Well done Israel on a good show. – All four artists were great and had different strengths. – The winner Netta is perhaps the most controversial because of her live looping equipment. What can she be without it? Will she be allowed to use it as an exception? – Israel had a potential winner in Mengui; I agreed with the public there. He was more of a stunt-dancer, and would have brought that added edge to the Eurovision performance. Her ‘beautiful’ cover was amazing. The korean one, not so much. She should write a song about being beautiful, no matter what size. You want her to be a Serbia 2015 clone? Let her do her thing. Still finished in the top ten. I believe it could be 60% utter failure, and 40% massive hit, but nowhere near the middle. After seeing her first performance I wanted her to win, but when she sung gangnam style that made me instantly cringe, I hope she doesn’t get to the final because of it. Netta was one of my favs from the beginning and her second audition of A-Ba-Ni-Bi blew my mind. She doesn’t need the looper to succeed at Eurovision, all she needs is a killer song. The country with the better odds with a song is Spain being at number 7. What the heck? Oddmakers are too early to start predicting. Israel’s brushing the top twenty now. Spain? lol the bets are from spanish voters. Yes, it’s all Spanish voters. The moon landing? Staged by Spanish voters. Watergate? Nixon was arranging with the Spanish voters. The Titanic? The iceberg was Spanish. It’s all Spanish voters! Wake up, sheeple! And Switzerland still at the bottom. At least give them top 30. These oddmakers are bit off. I don’t think they’re gonna win but I don’t think it’s the least likely act. Everything is the fault of Spanish Eurofans, isn’t it? If Spanish Eurofans were so over the moon about this and inflated its place on the betting odds, then why didn’t they do this for Edurne and Barei? Both of those were songs that actually were loved by Eurofans, but yet they never made it higher than around 15. It’s funny to see the excuses you make about this song being highly rated among the bettors. I hope she is allowed to use her looper! I think this is the first final where televote lost! Also I was under impression that final duel will be televote only! I didn’t really care who wins…. As long as the song isn’t decided, I won’t rate her as bad or good. Actually, I don’t see why you would decide the Artist first when it’s actually a SONG contest. I feel like it’s better to look for a full package rather than just choosing the singer, because that’s not really the priority. Because Rising Star, as a format, is literally a show that is looking for the next big music star. It was never intended to be a selection show for Eurovision when it first started but it was revamped to become one in search of Israel’s representative to the contest. I have to say it wasn’t my first choice, but congratulations! Wish her all the best! And a good song. First and foremost, excellent coverage and reporting! Kol HaKavod, as you say. Moving on to opinions, Netta has tons of talent that she can use to her advantage, looper or not, IMHO. She has stage presence, grace, a good singing voice and plenty of resources in that department as well. I honestly hope they let her have a (big) hand in the composition/writing/production process. You don’t just neglect a talent like this. She seriously reminds me of Marina Blumin, which is not something I could ever say lightly. Best of luck and let her talent show! Yay! I don’t see how the vocal loopers are a problem if Norway got away with them last year. Not like she’s lip-syncing or anything. Congrats Netta! Keep up the Israeli hot streak! For me this a horrible choice with sure non-qual at the final , Jonathan it was the best and all knows that , so sorry Israel maybe next year. Doesn’t count , sure not final , you will see. You don’t know the freaking song, you’re just assuming over nothing. Guys sorry for my reaction , i`m was so angry in that moment cuz i was hoped Jonathan to win , but now i’m ok and i think she is great artist and smth new in good way in ESC , i hope she song to be very good cuz her voice is so great :).